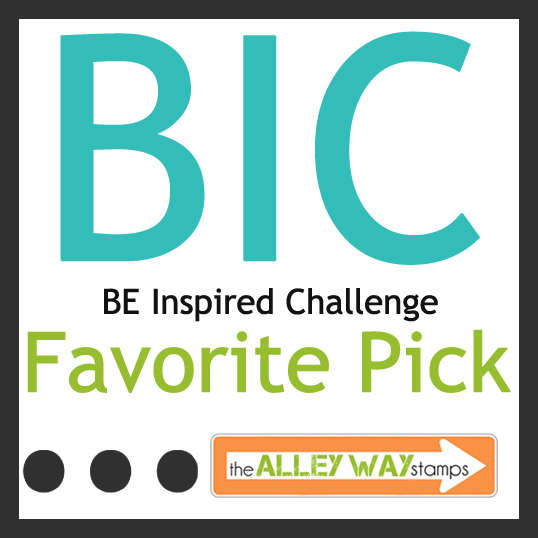 This will be our very last BE Inspired Challenge! 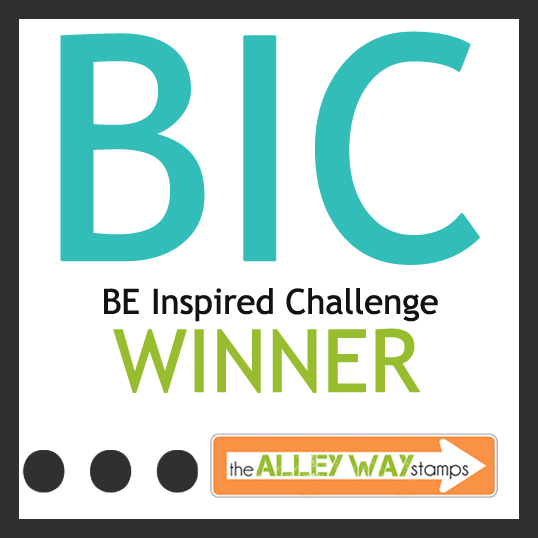 The winner of this challenge will receive TWO free stamp sets of their choice. With the new year comes a new challenge! 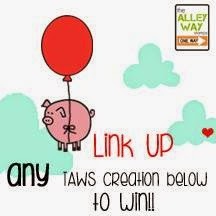 Starting in January, you will be able to link up ANY of your TAWS creations for the month for a chance to win free goodies!!! There will be no challenge badge or required theme - you can create whatever you want! 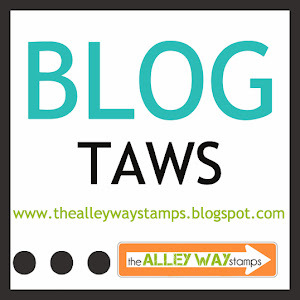 Look for this badge to hit the sidebar of the blog in January! 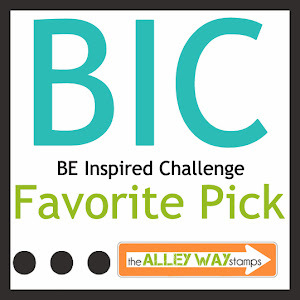 We have Debby Owens (Indy) joining us for this final challenge as a Guest Designer! She used Gotta Bug and Holiday Sparkles! Chrissie here! I love that white tree in the image, so I decided to make a white wreath with some pink accents using Wreathed in Love and Jolly Holiday. Hello! 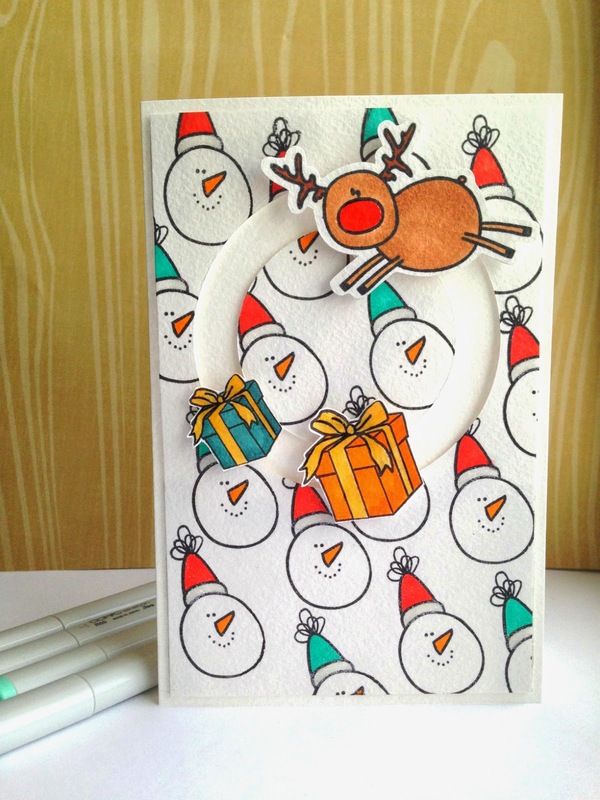 Tracy here with a fun winter shaker card! I used the Winter's Butterflies set for the snowflakes and the All Wrapped Up set for the bird and sentiment. I also made a video tutorial for this card! Hi Dana here!! I hope everyone is having a great holiday season!! 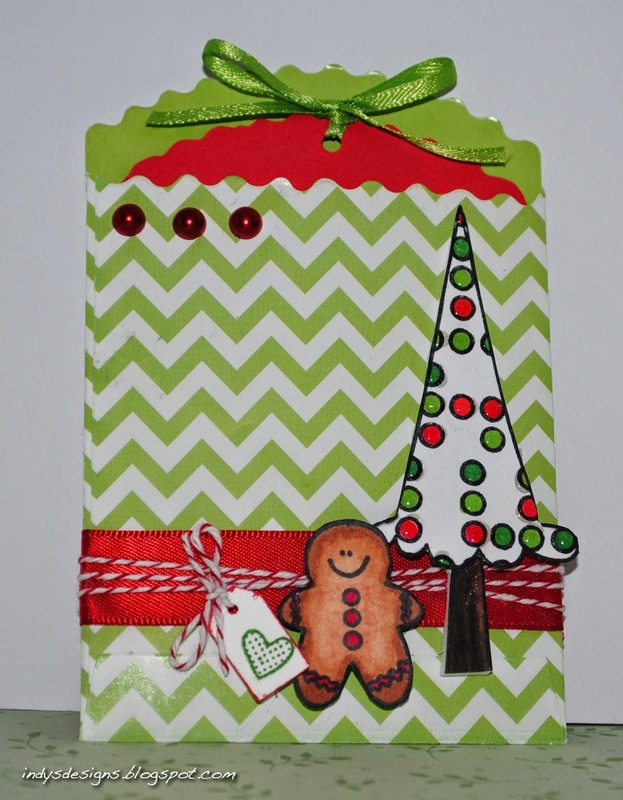 This card was inspired by the Christmas tree image with its colorful ornaments and all the presents under the tree. I image some of those presents open and spread around. I used a LOT of stamps on this card hehe!! (what was i thinking!?!?!) Chick Magnet, Tickle Me Happy, Bee Unique, Bee Happy, Lava Love, Toyland, Got It Covered, Ta-da! Hi Tanja here, hope you all have a great time! For my card I used Bite Size! Sabine here. 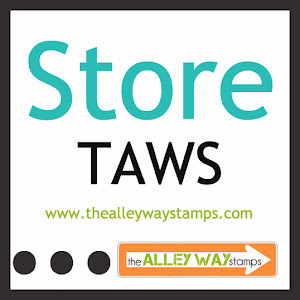 This is the last BIC of the year, and my last TAWS card as a design team member. 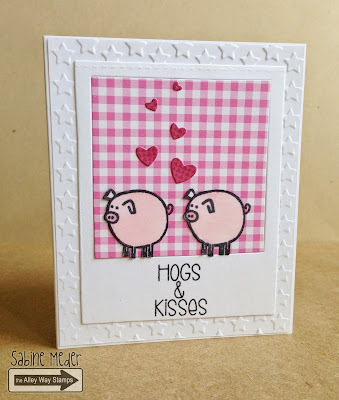 I used the sweet Oinkers again , they are sending hogs&kisses for the new year, as pigs are traditional symbols of luck in Austria. Hi it's N@ Ali, I used Birds of a Feather for this fun birthday card inspired by the pink. Hello! Anna is here to show my another card for this winter inspiration. I love pink picture, so yummy colors! I created background using Making Holiday's Bright and added a sentiment from Rock Solid. Anni here! With christmas just a few days away I was totally inspired by the christmas theme! I used the mini set Wreathed in Love! Hey there! Jeni here. I loved this fun inspiration picture!! I was drawn to the fun colors on the Christmas tree! I loved the red and aqua with a little splash of gold!...a perfect combination! I used the snowflakes from Winters Butterflies and the sentiment is from More Than Words. 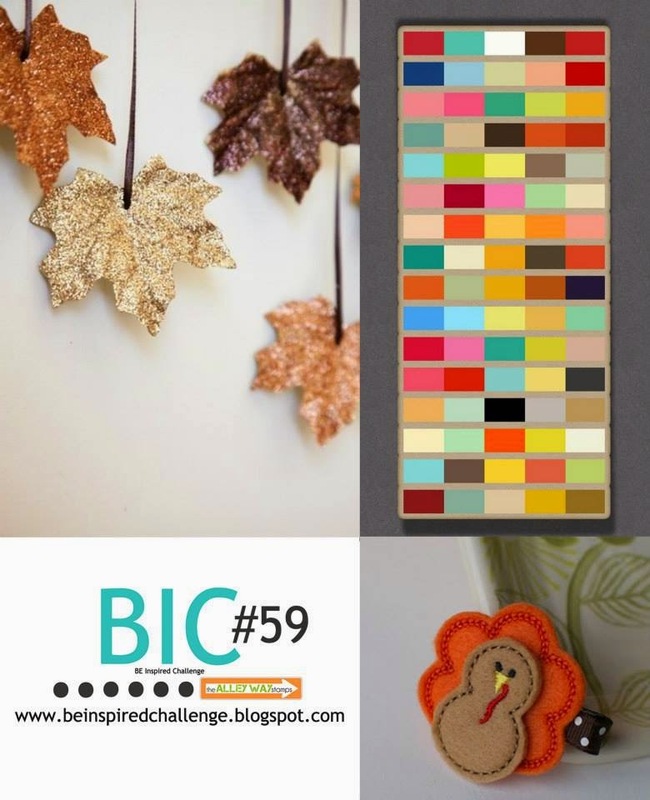 We have Debby Owens (Indy) joining us for this challenge as a Guest Designer! Indy's card is so cute! She used True Colors and Holiday Sparkles. She also created an awesome envelope using Background Check, Tiny Treasures, and Gotta Bug?. Wow - what a fantastic idea!!! Hi, it's N@ Ali. Here's my take on this month's fabulous inspiration... I went for the Christmas theme, and I also picked one color from each picture: red, pink, grey ; ) I used the tiny gift from Lava You and the sentiment is from All Wrapped Up. Chrissie here! I was inspired by the beautiful tree and snowflakes in the picture, so I used Jolly Holiday along with Holiday Sparkles and Making Holidays Bright to create my card. Hi, Tanja here with a little shaker card filled with fake snow. The bird inside is from Bird Brain. The stripes are made with distress ink. Happy friday! Hi!! Dana here! Its a busy week for me, its finals this week and next! So i had to make a super quick card!! TAWS sentiment and dies to the rescue!! I got my sentiment from the new More Than Words set! Hello! It's Tracy here and I was inspired by both the pink shades and snowflakes in the inspiration photos. I used the Snow Daze set for the snowflakes and the More Than Words set for the sentiment. Sabine here. Hi there, this is my take on the beautiful BIC inspiration picture. I was inspired by the white Christmas tree with some color and the snowflakes. I used my Chill Out set and glossed up the bulbs. Hello there! Anna is here to show you my first card for this month's inspiration. 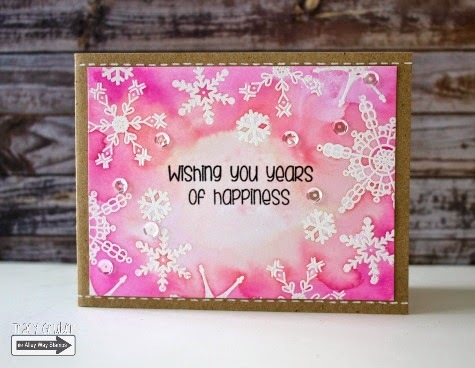 I was inspired by soft picture with snowflakes and created my card using powders if three colors and Snow Daze, Making Holiday's Bright and Tickle Me happy sets. Hey, Anni here! 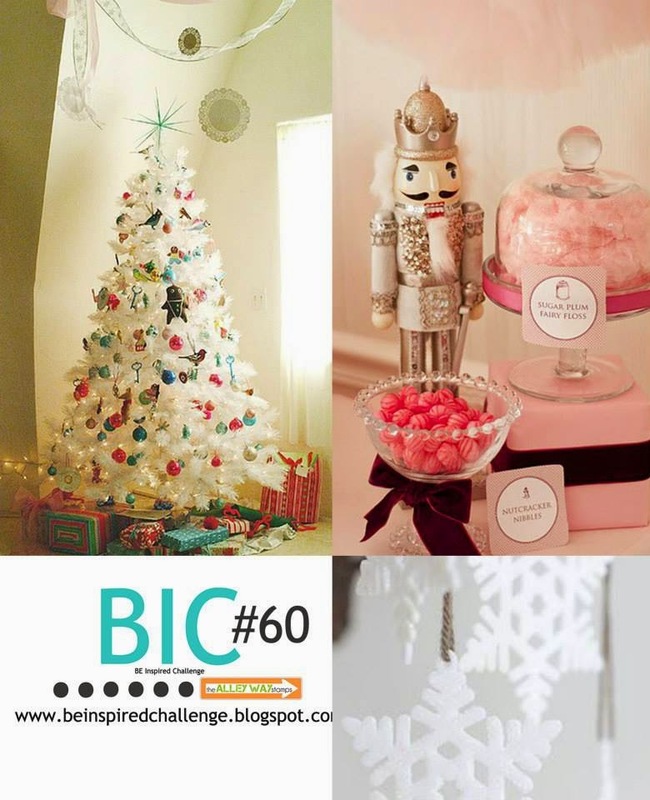 Super cute christmas inspriation! I used a little bit of pink and a lot of white and the snowman from the set Jolly Holiday! 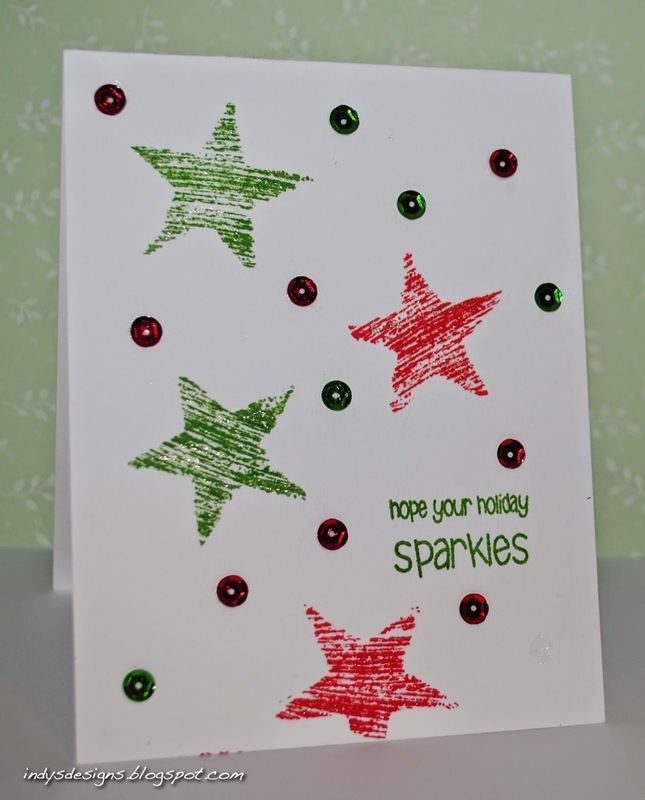 The background is the stamp Starburst (free with a $40 purchase in December)! 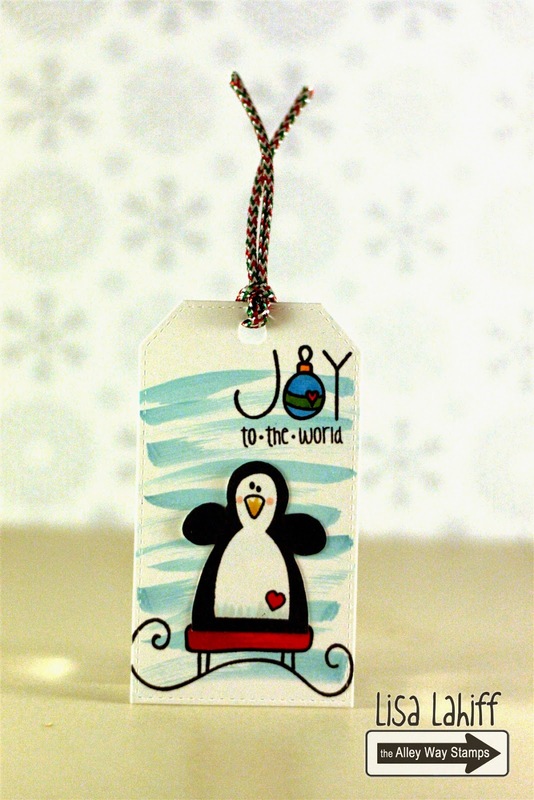 First up we are sharing this super cute and bright little guy from the All Wrapped Up Stamp Set. Faith from the Crafting Professor did an amazing job with incorporating colors and the design of this card had us ooohhhing and ahhhing! Next this card had us smiling from ear to ear! It's just so cute!!! 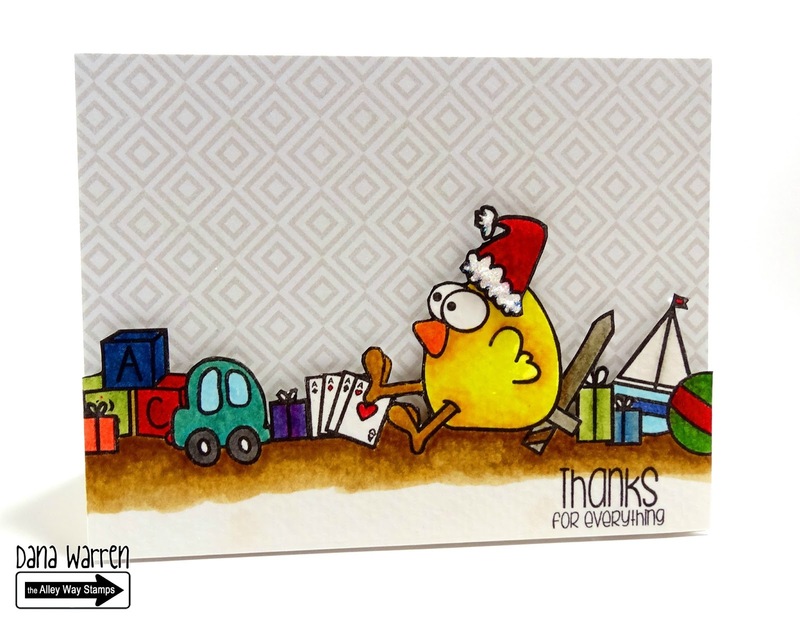 Biggi from Mimi Zitrone Vs. Papiolla did an amazing job with the color scheme as well as the cute scene she has created for her card. The cute chicken and worm from the Bird Brain set are perfect on here! 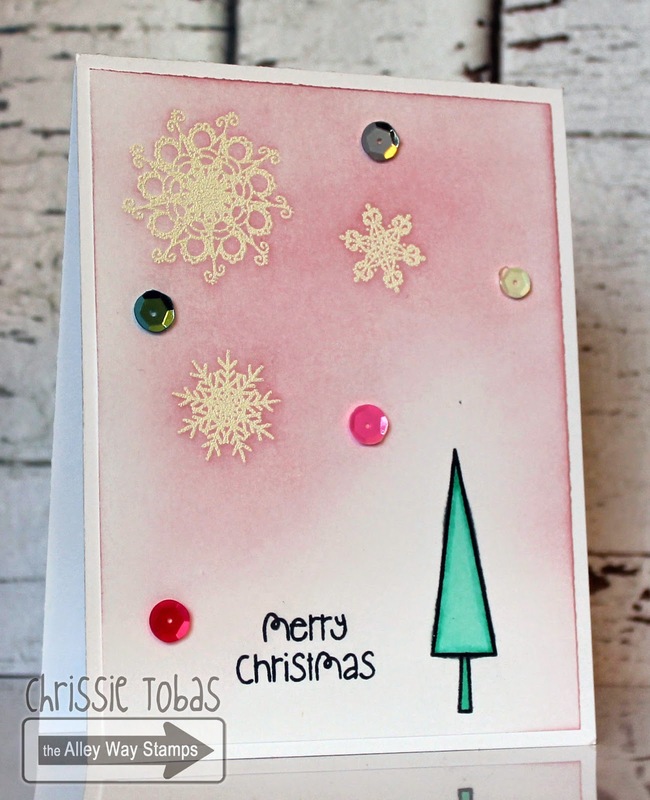 A third favorite this time around comes from Cornelia at Stempel Spass, and it is gorgeous! 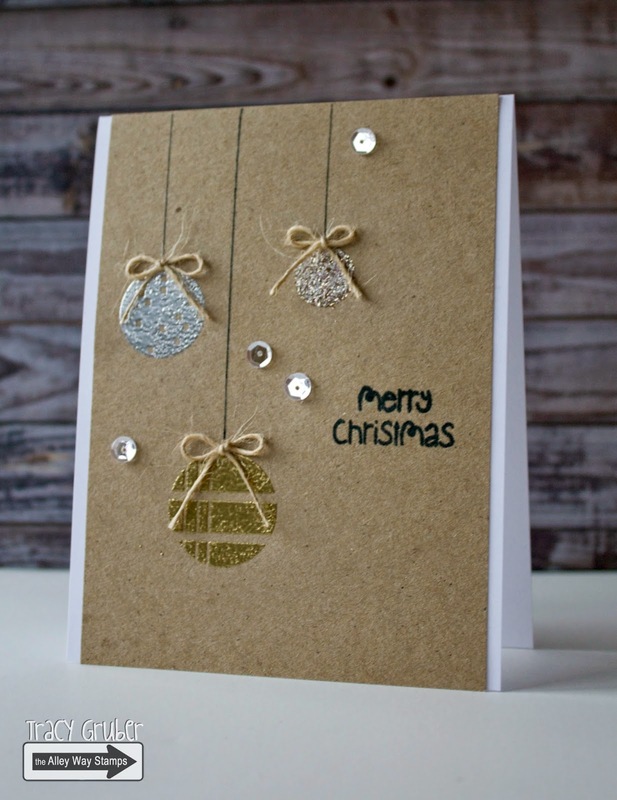 We love the shine and metallic look that was achieved using the Tri-Me set and embossing! Jaw dropping! And the touch of the jingle bell is perfect! Congratulation ladies make sure you get your badge below to share on your blog that you were a favorite! And now it's time to share the winner of our challenge... Congratulations Hilde you are this month's winner!!! yay!!!! She actually created two great cards for this challenge, but we just loved the background she created for her little fish scene, and the coloring is amazing!!! The Castaways and the Sea Mates Stamp Sets are too cute on here! Sorry for the small photo we couldn't copy from flickr, but please make sure to click over and see the full thing by clicking here. Hilde please email Chrissie at harvestmoonpapiere@gmail.com within ONE WEEK of this post with your two stamp choices! Congratulations!!!! And thank you to everyone who joins us in our challenges, you all inspire us each day! The winner of this challenge will receive two (in-stock) stamp sets of their choice!!! We have our Guest Designer, June, joining us again! 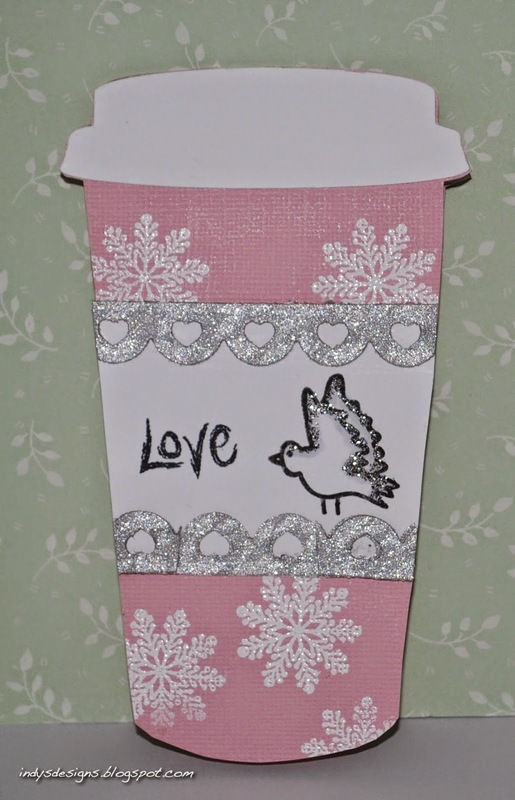 She created a fabulous card, using the All Wrapped Up Set. 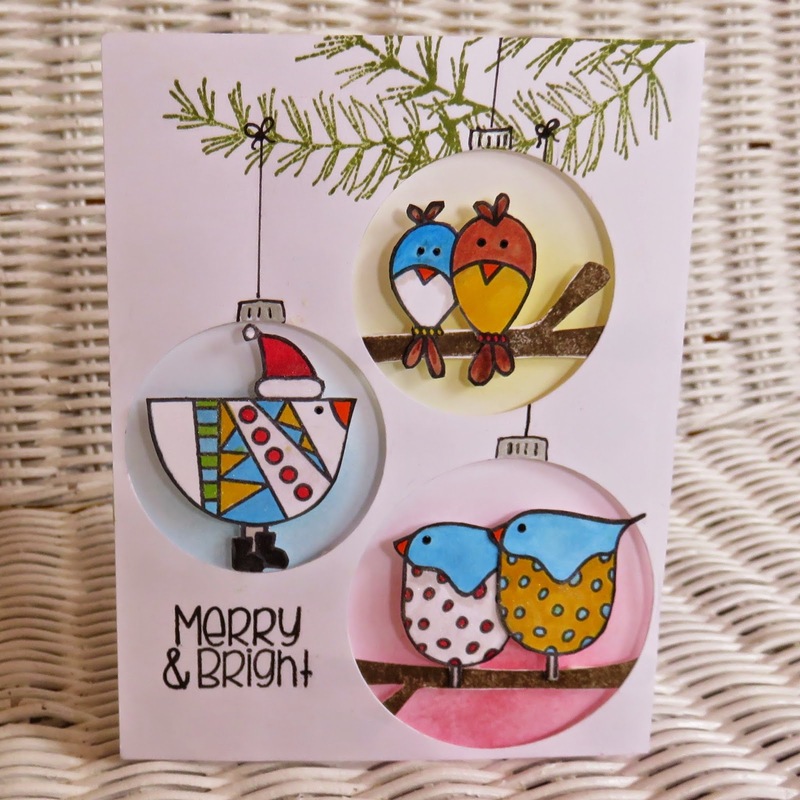 She was inspired by the hanging ornaments in the picture to create these AMAZING ornaments containing the birds! Hi there! It's Tracy here with my card inspired by the colors of the leaves. 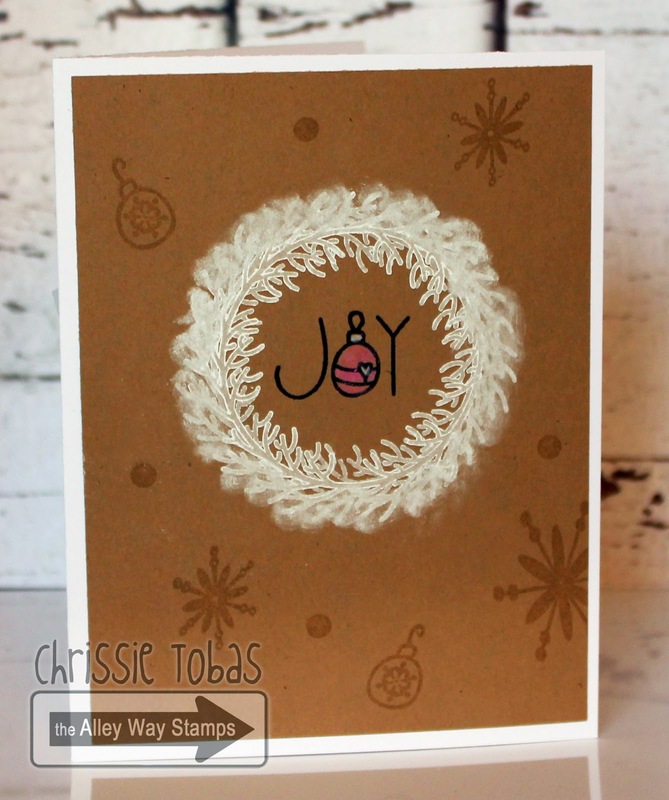 I used the Making Holiday's Bright stamp set and made the circles into hanging ornaments. Hi! Dana here and in Michigan its not really fall anymore! Leafs are all down and gone, its snowed and its been really cold! So instead of making a fall card i made a winter card, but i used the glitter leafs as my inspiration or at least the glitter on them! I used some snowflake dies, the sentiment from Let's Chill and the background from Line Upon Line. Hi it's N@ Ali here with my retake on this beautiful inspiration picture. This time I focused on the shiny leaves, using Pick One and Making Holidays Bright for the sentiment.